Still, the company has come up with the ultimate toy for beer drinkers. (Santa, I've been good this year, I promise... please, please, please put this under the Christmas tree.) 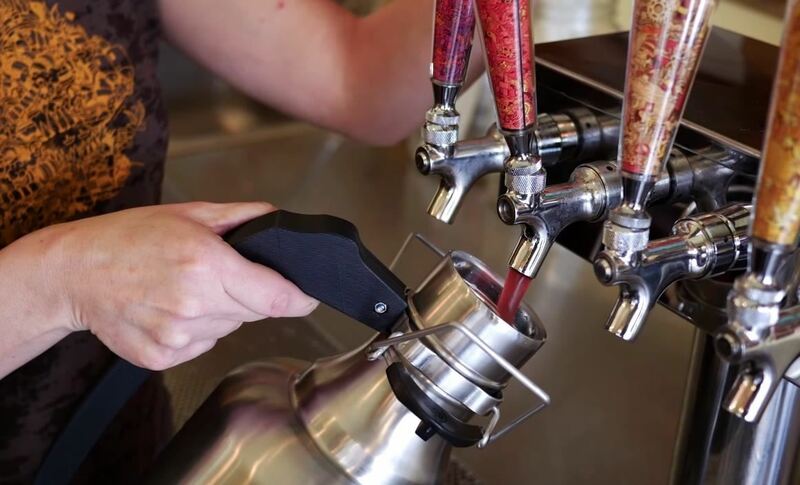 It's a two-part tool: the Juggernaut, a 128-ounce beer growler (the largest that I'm aware of), and the Kegulator, an auto-regulating keg cap that attaches to the Juggernaut. In other words, you can carry the equivalent of more than ten bottles of beer with you, while maintaining a fresh-from-the-tap level of carbonation. The Juggernaut is a growler, which is a fancy term for "beer jug." 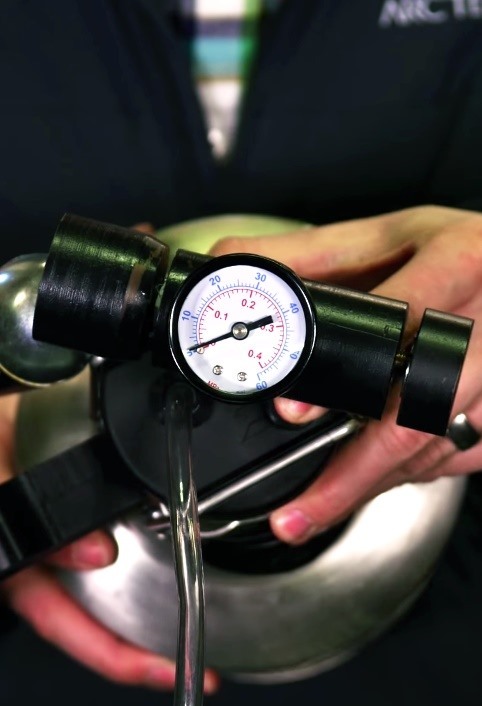 Unlike regular beer jugs, the cap on the Juggernaut maintains the growler's pressure at 60 psi (pounds per square inch) so that no carbon dioxide can escape, and your beer stays as fresh as ever. You can pour yourself one beer while the rest of the brew stays sealed and fresh. The wall of the Juggernaut is double vacuumed to help it maintain temperature, and the stainless steel is food grade, so as not to absorb any flavor or color. It's also BPA-free and dishwasher safe. 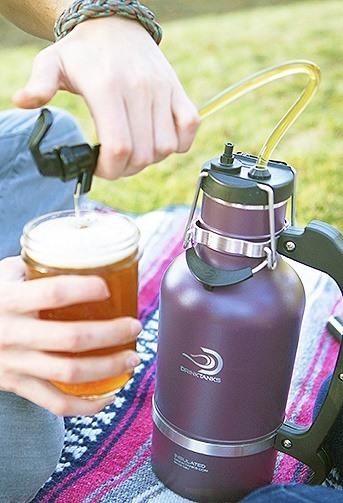 The Kegulator attaches to the Juggernaut, to turn the growler into a mini-keg. 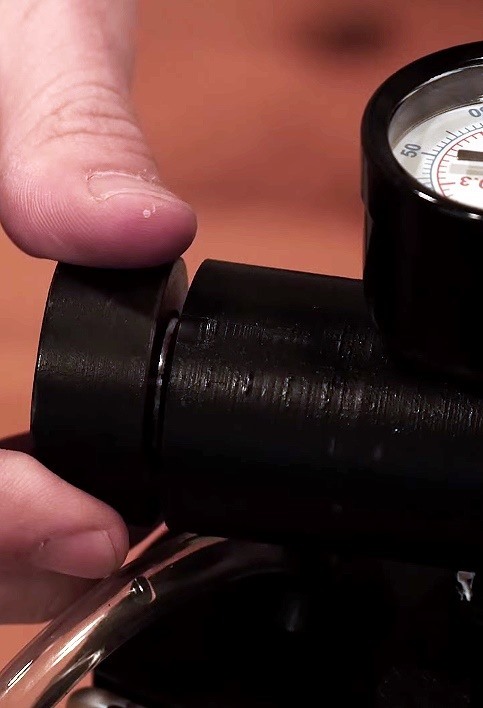 It's a carbon dioxide auto-regulator that attaches incredibly easily (and gauges the psi of the Juggernaut), and allows you to pour beer for all your friends with the ease of a keg tap (but without, you know, the enormous, heavy-as-heck keg). 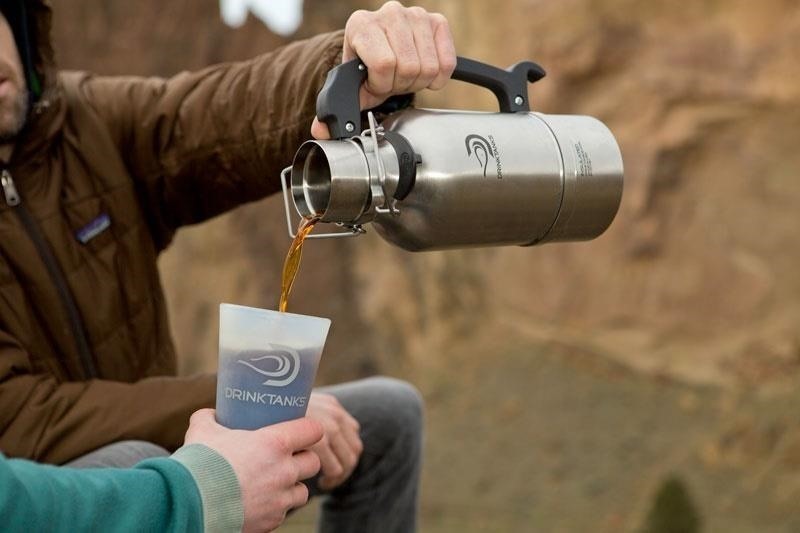 DrinkTanks points out this is perfect for home brewers and DIY kombucha makers, too. When (And Where) Can I Get It? The Juggernaut and Kegulator were funded on Kickstarter, with well over $200,000 of their required funding, so it's safe to say that they'll be hitting the shelves soon enough. As a card-carrying member of the Church of Beer, that day can't come soon enough for me. 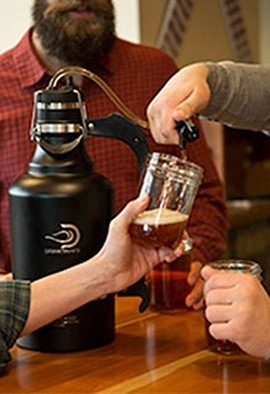 Until then, you can preorder the Juggernaut growler from their website, as well as the full kit. Or you can pick up their 64-ounce growler right now here or here (keg cap here), or from their website. The right kitchen tools can change how you cook. Learn why pros favor carbon steel knives, how a block of salt makes grilling magical, and why a pressure cooker has major advantages over a slow cooker.